Apple had today announced not just one, but two new iPads. A new iPad Air and updated iPad mini can now be bought directly from the Apple Store. Starting out with the iPad Air, the 10.5-inch tablet is a replacement for the 10.5-inch iPad Pro which is no longer available. 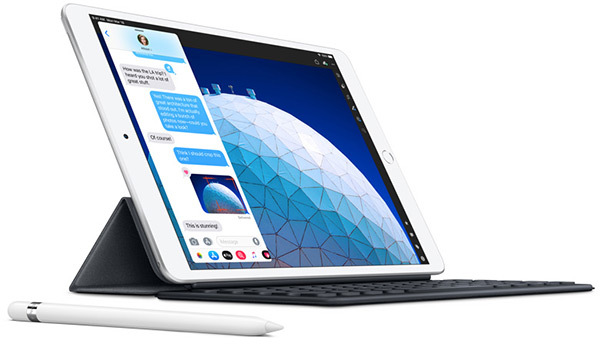 However, while the new tablet does have an A12 CPU and support for the first generation Apple Pencil, it does lack some advanced features such as the iPad Pro’s four-speaker setup and 120Hz ProMotion. There is, however, a lamination True Tone 2224×1668 display to enjoy. Bezels and a Home button also make it clear that this is not an iPad Pro, just for anyone who may have been wondering. There’s a headphone jack, too. Moving on to the smaller tablet, we now have an updated iPad mini for the first time since 2015, and it too has an A12 CPU. That’s huge, and while not quite the fastest CPU Apple makes it’s certainly more than capable and will be for years to come. Interestingly, the new iPad mini also supports Apple Pencil – first generation, alas – and also has the Home button and headphone jack intact. Both new tablets are shipping now and can be had starting at $499 for the iPad Air and $399 for the iPad mini. There are of course different storage options to choose from, with base models shipping with 64GB on-board. 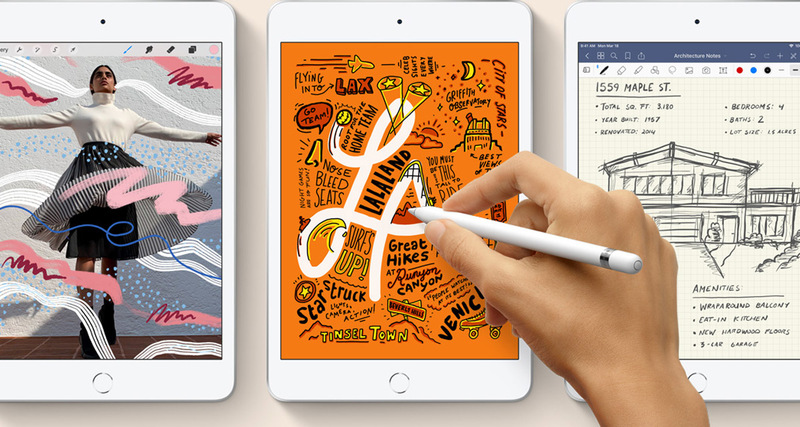 As part of this move, the old iPad mini 4 has been removed from sale, leaving the new iPad mini as the only 7.9-inch display in Apple’s lineup. It is however, if you like that size of screen, a very capable tablet.